Meet our team of Volunteers who donate their time & energy to save lives! Would you like to join us? Complete share your interests with us or contact us by email anytime! Fostering dogs and volunteering with shelters has been a passion for our family. There is a huge pet overpopulation crisis in the south and large demand for rescues in the north to help. Once we learned about the rescue world and the dire conditions shelter dogs endure, we had to help. I've been an advocate for animals since childhood and am thrilled my husband & children share the same devotion. VT Dog Rescue is operated by our family including my husband, Keith, and our children Sarah, Jacob, and Kate. We share our lives with free range chickens & ducks, 5 dogs, 3 cats, and 4 horses. We are so very thankful for all of their help! Noelle is a 7th grader who has a helping heart and lots of experience caring for her family pets, including her special furry friend Ruby. She looks forward to meeting the transport and helping the puppies meet their new families. I think volunteering with VT Dog Rescue is a good way to help because it’s fun and you are helping dogs at the same time. Dogs are adorable! I get really excited about what dog the people are going to pick, because there are so many different types of dogs that come here on the transport. Once they’re out of the camper, I like to help by putting them ina sweater, taking them for a walk, and giving them all the hugs they want. Seeing all of the dogs go with a new family is really heartwarming because they came here to find a new home and all the dogs will be happy." Ella is an 8th grade student who has been sharing her photography skills with us. She is also providing graphic design & marketing assistance, and creating homemade dog treats to share at our adoption events. We are SO thankful Ella decided to volunteer with us! I am volunteering at VT Dog Rescue for my 8th Grade Challenge. I chose to volunteer VT Dog Rescue because I want to help out, spend time with dogs, and take cute photos of them. My family has had dogs since I was a baby and they have become a big part of my life. Adopting a dog brings joy to the owner and dog, and I wanted to spread the joy to more of our community. I'm from Burlington, VT, and I have two rescues that are bundles of joy. I chose to volunteer at VT Dog Rescue because I love seeing dogs get their forever homes, and I love seeing them happy. My name is Lilly and even though I don’t have dogs, all of my family has dogs and I love walking them and spending time with them. I volunteered at VT Dog Rescue because I want to spend more time with dogs and I wanted to see them get into a loving home! I was born loving dogs!!! I began saving strays when I was in grade school. Found them great homes and walked 2 or 3 miles to check on them to make sure they were well cared for! I have owned dogs since childhood and love them all beyond words! Cobalt is my newest beloved pup who came from VT Dog Rescue in July, 2016. He is known by all to have a mommy lipstick kiss on his head all of the time. He is truly the highlight of our home along with his sib cats, Krunch and Munch! I am a retired nurse and the proud mother of a grown daughter Ivy and son Jaren, grandmother of 2 precious girls, Abby and Leah. I am married to my high school sweetheart, Frank. The entire family adore dogs, cats and horses! Deb is co-founder of Gold Star Dog Training. She offers VT Dog Rescue adopters a discount* on her 6-week basic training course. Her training approach includes building a healthy dog-handler relationship along with teaching people how to read & respond to their dog's body language. Deb's classes are creative, educational and fun! She has an extensive background in all things canine. Deb has been a therapy dog handler since 1996 and the Director of Training & Certification with Therapy Dogs of Vermont since 2005. She has designed training programs, travels throughout Vermont giving presentation & workshops, and has written several articles on dog training for various publications. Deb is also an advisor for the German Shepherd Resource and Rescue Center in MA. 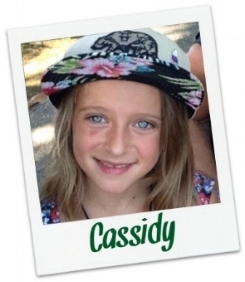 You can visit her website to view her current class schedule, and follow her on Facebook. * Our adoption packets contain information regarding Deb's very generous offer. I have been an animal lover all of my life and have been dragging animals home since I was able to walk. Over the years my house has been home to a variety of dogs, cats, rabbits, squirrels, guinea pigs, birds and even a wounded chipmunk. These days I share my home with my english bulldog, Bruce, german shepherd, Kayleigh and three black cats, Anique, Barnum and Grissom. All are rescues. I have worked with other rescues in many different capacities and am passionate about saving animals. I am very excited for this opportunity to work with VT Dog Rescue! I've been involved in rescue now since October of 2016. Most of my adult life, I was interested in fostering dogs, but too afraid to make the commitment. After losing my first dog to old age, I decided to give it a try thinking my remaining dog might enjoy the company. Coach, who was 6 months, arrived from South Carolina with more challenges then I knew what to do with! Knowing that it was going to be very difficult to place Coach, we decided to adopt him. Otis died about a year later, and that's when I I enrolled in extensive training classes with Coach. He was just blossoming into a well-behaved, beautiful boy, when tragically, Coach died at the age of 2 from Immune Mediated Hemolytic Anemia. My heart was broken after losing 3 dogs in 3 short years, but I felt like I needed to honor Coach and his story in some way....that's when I found Brigitte and VT Dog Rescue. We have since successfully fostered about 18 dogs for both VTDR as well as another rescue. Although the process of fostering is not always easy, I am forever grateful to all of my fosters for the love and healing they have provided. Fostering is one of the most challenging, rewarding experiences - I love it! No two dogs are the same and I'm always learning something new. My family (husband, son and daughter) have been so supportive of this passion of mine. I couldn't do it without them. Fostering has now morphed into other responsibilities as I continue to learn more about what rescue entails and how it all works. We hope to adopt again someday, but for now, we are always excited to welcome a new pup into our home and love meeting new people along the way. 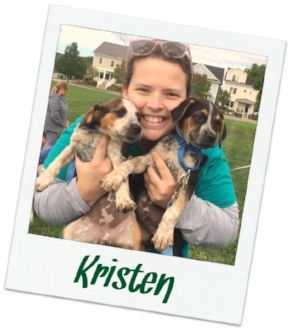 Kristen is a lifelong dog lover who started volunteering in her first shelter in 2005 when she was just 13! She has since been involved in the foster and volunteer programs of many rescues and specializes in rescuing, fostering, and advocating for dogs with special needs. She is a local teacher and joined VT Dog Rescue when relocating back to Burlington in Summer 2018. I am new to foster with VT Dog Rescue but have really enjoyed the experience, fostering has been a family affair for me and my children for about 8 years while fostering with another rescue we were able to help with many fosters through out the years, one we fell for and had to keep. We are animal lovers and want nothing more than to help them, nothing feels better than giving a dog a chance to find a forever home and in the mean time getting a little extra love and snuggles. Every dog deserves a loving family, a good meal and a warm bed and we are so grateful to help in finding that for our fosters. Many times what these fosters give to us is way more than we can ever give to them. I have loved dogs since I was a child. Dogs have always been a part of my life and I feel honored that I can work with them as adult. I give love and a home to dogs in need while waiting for their forever home. If a dog needs me...I will always say yes! I love working with people who are able to give help to dogs in more ways than I can. I volunteer to help transport dogs because every dog deserves a couch to sleep on.Shelter dogs are so happy to be loved and given a second chance. Pilots n Paws is a wonderful organization that transports dogs from high kill shelters to non-profit rescues throughout the United States. Annie's first meeting with one of their pilots was during the summer of 2016 when she welcomed Rocky (pictured here) & Poe to VT. Now, she is hooked! We live in Essex junction with our three rescue dogs and one cat. We got involved with VT Dog Rescue when we adopted our hound mix Dobby; we were so happy with the dogs that Brigitte brought up and the adoption process that we wanted to get more involved. You can see us at most adoption nights talking with adopters and taking pictures of happy new owners with their pups! With a background in veterinary medicine & dozens of years of fostering experience, we are thrilled to welcome Sabrina! In addition to fostering, Sabrina operates Sweet Moon Stables in Monkton where she offers boarding, lessons & riding camps. Her daughter, Ivy, is following in her mom's footsteps. She is already a strong rider and has won ribbons in her first Gymkhana. Ivy helps decide which dogs to foster, spends time playing with them and teaches the pups how to be part of a loving family. Deb's early start in fostering came with raising little German Shepherd and Lab puppies to become guide dogs for The Seeing Eye, Inc. Ken brings his lifetime of skills and experience working with and caring for animals. "We are very proud to be a part of the VT Dog rescue team of volunteers. Our own "pound puppies", Hoover and Queenie, join us in spirit as part of the team, and our volunteer work is dedicated to the lifetimes of love they shared with us. I have always loved animals and adopted my first puppy a couple years ago. She instantly became a member of our family. Saving a puppy or dog and allowing them to feel this love is why I foster. Our love for animals and their individuality cannot be expressed. Fostering is just as exciting for us as it is for them! They are our children & their lack of voice is something we take very seriously to save those who have not been as fortunate as our own babies. Showing them emotion is a bond that cannot be replaced or captured in words. My family has had dogs my whole life and I've always been a dog lover. I adopted my very own best friend last year. Rescue can be challenging and heartbreaking but giving a dog a home and showing them kindness and peace that they haven't known is a joy. I look forward to helping the mission of VT Dog Rescue. I'm proud to be a new member of the rescue community. While I've placed more than my fair share of strays over the years, I've never been a part of such a huge effort to help save the lives of so many animals. I consider myself to be a very small link in a huge chain and I'm in awe of the number of people who give so much of themselves on a very regulary basis. While I'm new to the rescue community, I'm not new to the animal world. My first dog, through many years of training, received his obedience title. I have also owned more than my fair share of cats over the years. For the past 15 years, I've worked at a local veterinary hospital where I'm the office manager. We're a small practice where we all wear many hats to keep things running smoothly. My duties involve everything from checking people in and out, assisting in surgery and, everything in between. Barbara & Audrey along with their husbands provide transport for the dogs and help out during Adoption Days. Barbara is working on a signature line of warm coats for our dogs as well as custom leashes. These very generous ladies volunteer their time and talents at various locations around Vermont. Neighbors and friends, Barb & Audrey are creative geniuses who make beautiful crafts out of every day items. VT Dog Rescue is thankful for the gorgeous quilted beds they donate to our rescue dogs. Many of these dogs have never felt the comfort of a soft bed or had a warm place to curl up on a cold night. When they first experience Audrey & Barb's dog beds, there is an audible sigh as they sink into the most wonderful bed in the world. When asked what motivates them to volunteer, they shared the following. We are both quilters and hated to see our scraps and those of friends going into a landfill so we began by making cat beds which were stuffed with the scraps. This has progressed to larger beds for dogs. Finding a group such as VT Dog Rescue is so heartwarming for it is local and we feel we are helping the animals, the group and our landfills. As long as we have them in stock, VT Dog Rescue adopters will go home with one of their hand crafted dog beds. A bed made with love by amazing women who support dog rescue. I've always loved dogs! My family had a dog when I was a baby until I was 5 years old. Since we got our new dog, Tessa, I had always wanted another dog. I am strongly against anything that harms animals, that's why I became a vegetarian. But dogs have always been my favorite animal! This spectacular family does it all! Liz & Eric provide foster care, shop for rescue supplies, take high quality photos of the dogs for marketing, provide lots of social interaction, and bring foster dogs on fun, outdoor adventures. In addition, they share their marketing talent by increasing awareness of homeless dogs and by reaching out to potential adopters & fosters. They go above & beyond for every dog in their care - and for VT Dog Rescue! Charlie's volunteer work includes welcoming foster dogs into his space, showing them how to play with toys, how to walk well on a leash, and how to get the BEST treats from his mom & dad. He's super smart and under his supervision, foster dogs thrive!